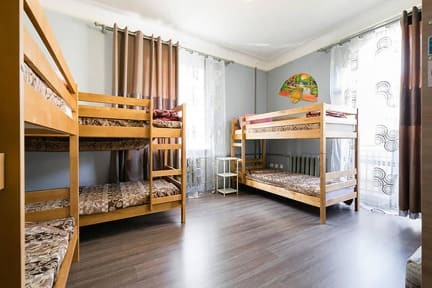 Hostel Schastlivy Sluchay is located in the Central area of the Pskov city, just across the road from Pskov Bus station and 350 meters from the Train station, which among other things is the final stop for almost all city buses. 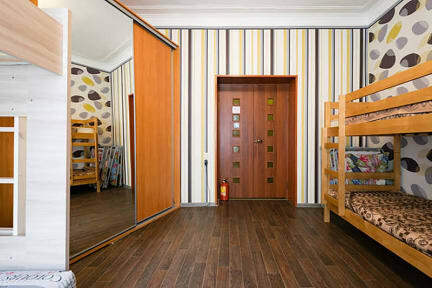 In walking distance from the hostel there are: a shop Pyaterochka, 2 dining rooms, specialty food shops. 100 meters from Hostel to Station square, with one of the local attractions - the Monument to the Soldiers of the First World War. 350 meters from the train station there is a memorial chapel to perpetuate the memory of the abdication of Nikolay II. The hostel features 2 rooms for 6 and 8 persons (possibility of accommodating guests with separate men from women), each room has a balcony. A shared kitchen with a fridge, a microwave, an electric kettle, a TV. 2 bathrooms, one of which has a shower in the second bath. Wi-Fi throughout the hostel free of charge. In every room there are lockers, lockers with key.